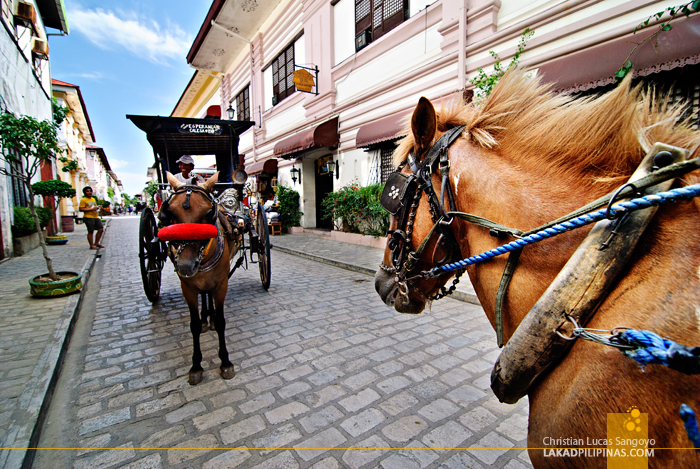 Strolling down Vigan’s Calle Crisologo one overcast afternoon, my ears glued to Eraserheads’ Wala, a horse-drawn carriage suddenly swept past me. The horse’s hooves click-clacked as it sped by. And for a moment, I felt it displace space; somehow warping it like Doc’s shiny DeLorean. Shifting from the present to the past, from the past to the future. For an instant, I felt somewhat dislocated. Did time just stood still? Am I still at present or am I at some point in the past? Beh. Enough of that time travel nonsense. 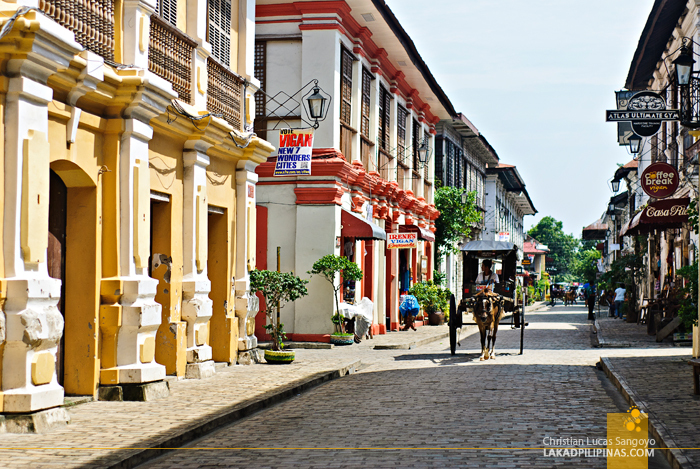 Calle Crisologo in Vigan City can stand on its own merit without the need to parallel it with time travel and such baloney. 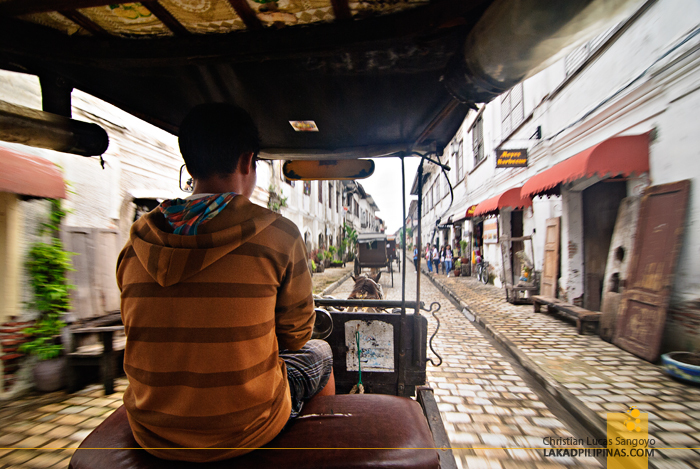 The reason for my first trip to Vigan City some years back was because of work suspension—too much time on flickr, my boss told me. I have a bit of cash, I was itching to road test a new camera lens and I haven’t been to Ilocos Sur. 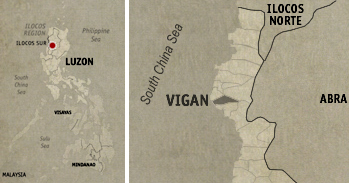 So I said to myself, why not Vigan? After what seemed like an eternity of a bus ride, I finally reached Vigan City. I have absolutely no idea what to see in the place and I have zero knowledge that there was such a thing as Calle Crisologo. With my phone map not working and still lightheaded from lack of sleep, somehow, my feet led me to the fabled street without me knowing it. It was quite early and hardly anyone was out yet. Meandering aimlessly with my moderately-sized backpack, I was delighted to find a street paved in cobblestone. Ancestral houses loomed heavily on both sides with their dilapidated capiz windows lining their too tall second floors. Antique carvings hung on whitewashed walls; figures staring at me with their lifeless wooden eyes. What are you doing here this early, boy? 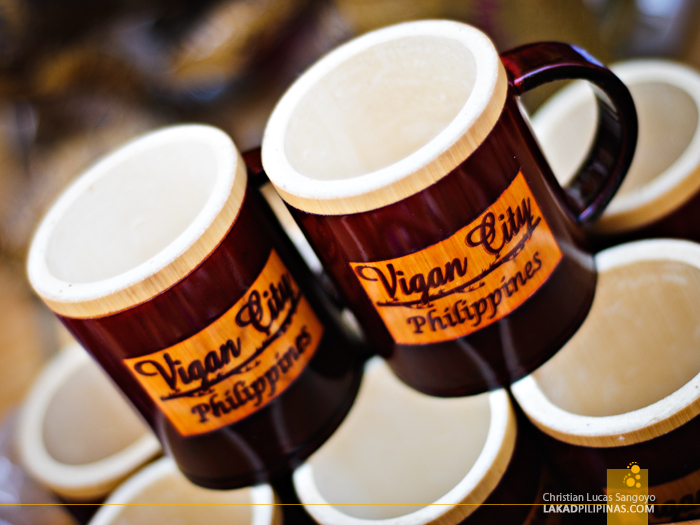 That was my first taste of Vigan and I was a bit puzzled. I passed a few other streets before stumbling upon Calle Crisologo. I found it weird how intact it looked compared to the others. Do your research next time, Christian. I scolded myself as I eventually branched off a street and found my hotel. 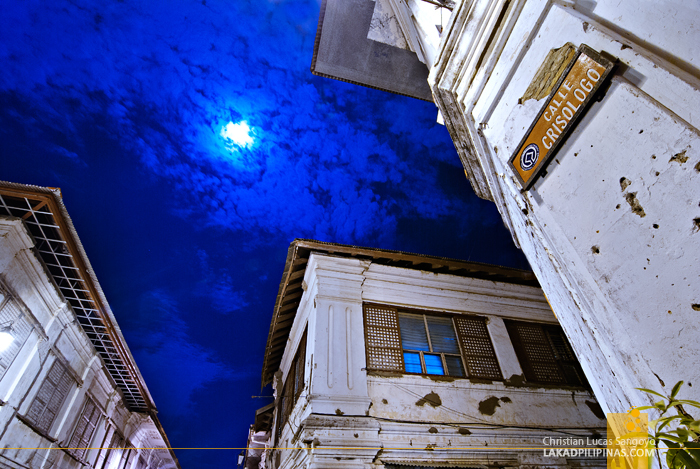 After reading around a bit, I found that Vigan’s Calle Crisologo is where it’s at when in Vigan City. 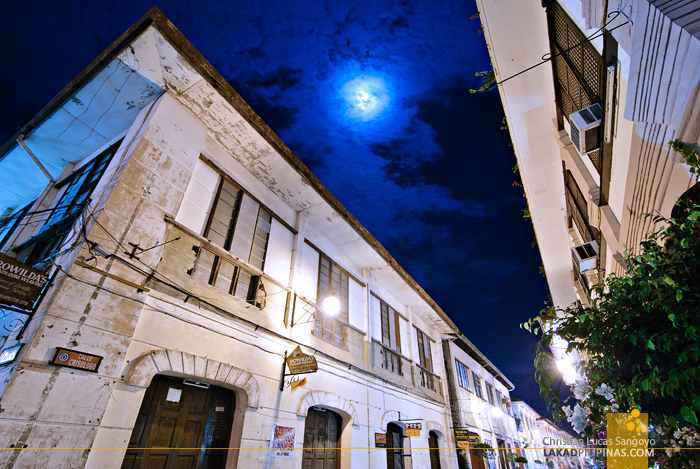 The whole town may be certified as a UNESCO World Heritage Site, but Calle Crisologo is where the point is driven down. My next few days were spent mostly at this street. Early mornings and late nights, I was here. My companions, two heavy cameras and my still heavier tripod. It was a happy place. I would wake up while the town still slept and I would leave the place as the town went back to sleep. 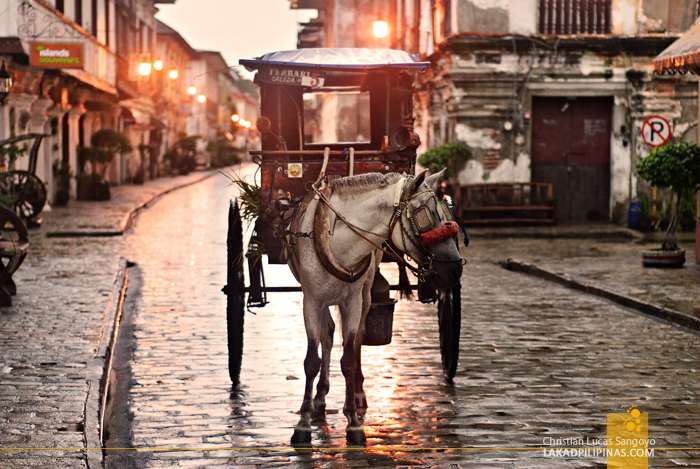 That routine remained unchanged even during my most recent trip to Vigan. 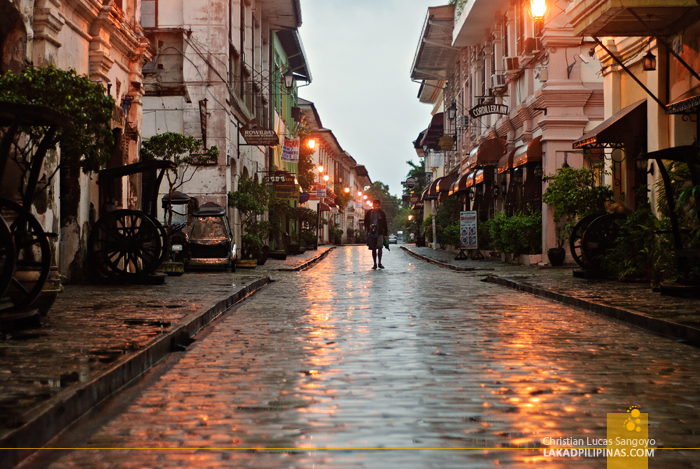 I especially love it when it rains in the evening and the cobbled street glistens with the previous night’s downpour. 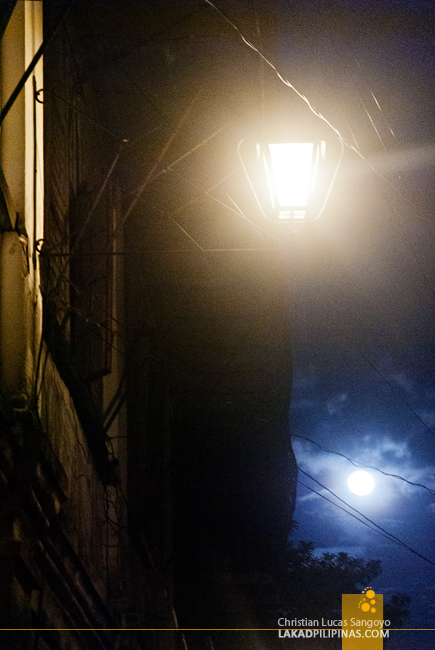 It reflects the warm glow of the streetlamps, reminding me of Sherlock Holmes stories I’ve read when I was a kid. Elementary, my dear Watson, I could almost hear it spoken behind my back by a guy with a deerstalker hat holding a pipe. On one conversation I’ve had with a town official, I asked why they don’t pave all the streets of Vigan with cobblestone. Well, aside from costing a lot of money, Calle Crisologo was never actually paved in cobblestone during the colonial period, she said. This shocked me into silence. What? All this time, I bet everyone thought that was how it was always was. Calle Crisologo it turns out, was only paved with cobblestone during President Ramos’ term in the office. Before that it was probably done in the usual concrete or asphalt treatment. And way, way before that, during the Spanish era, the street was probably just compacted dirt. 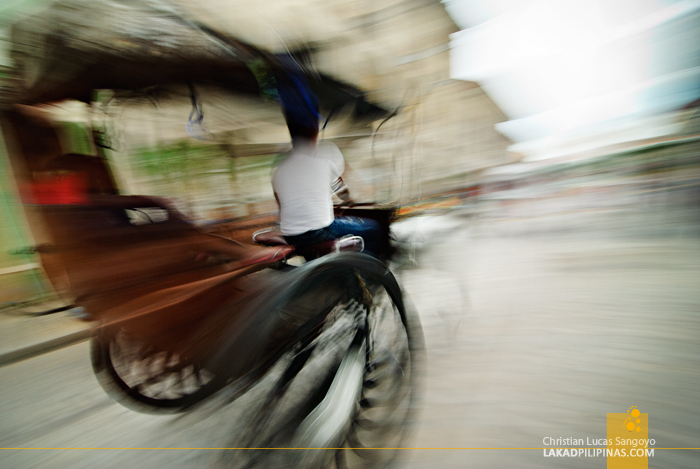 Before Calle Crisologo became Calle Crisologo, it had its share of name changes. 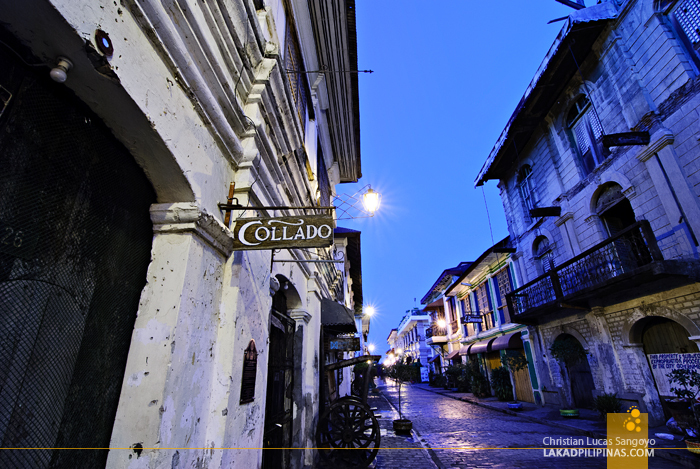 From Calle de Escolta De Vigan during the colonial era it shifted to Washington Street during Uncle Sam’s time. The Japanese, while they were able to invade the city, left the name as it was. The current name of the street came from Mena Pecson Crisologo, the first provincial governor instated by the Americans. 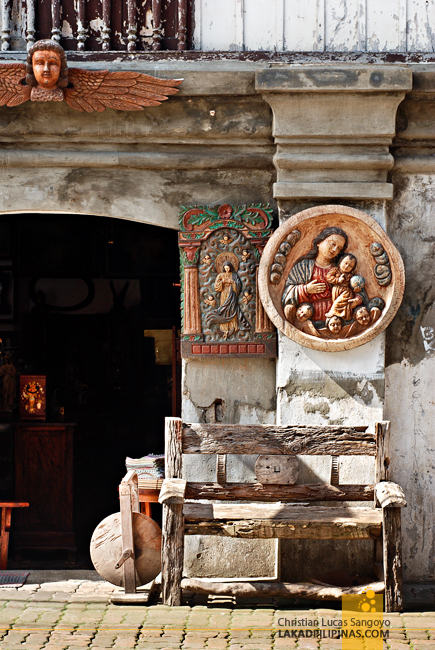 Calle Crisologo has always been the center of trading in the region even before the Spanish arrived. These ancestral houses in fact roomed affluent Chinese merchants rather than Spaniards as I first thought they did. 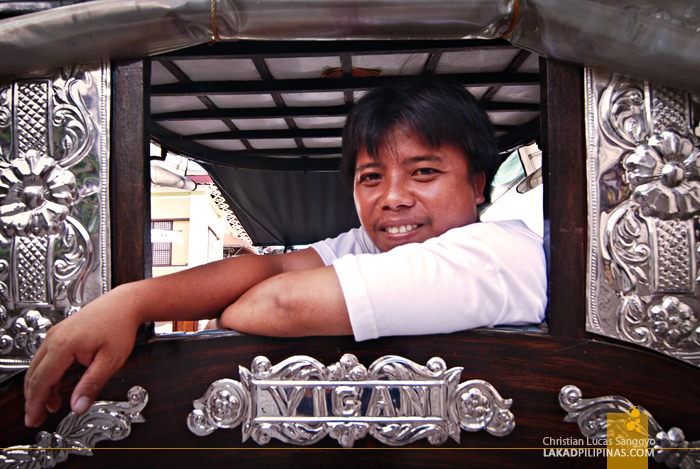 Vigan was then known as Kasanglayan or the place of the Chinese before Juan de Salcedo founded the city. I guess nothing much has changed over the centuries at Calle Crisologo. 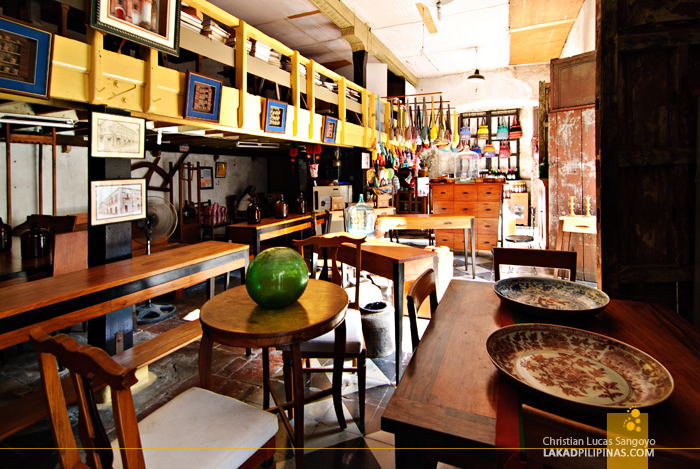 The stately Spanish and Chinese inspired houses are still standing and trade is still widespread throughout the area. But instead of the usual abel, gold and tobacco products of old, they’re now selling key chains, t-shirts, antiques and longanisa. But you won’t hear me complaining—well, okay a few more restaurants lining the street won’t hurt. 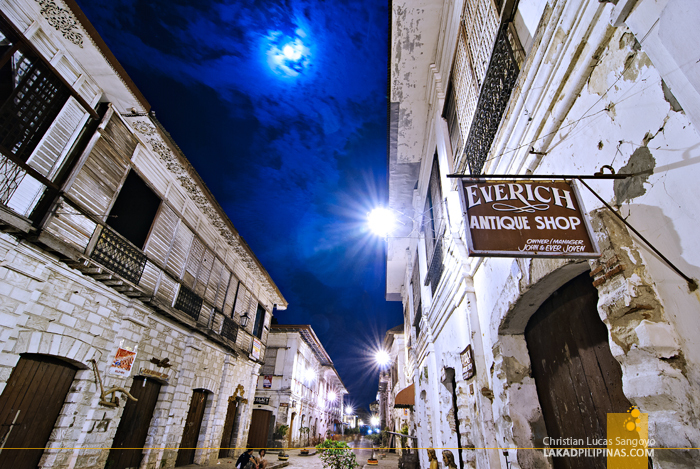 Vigan’s Calle Crisologo is as touristy as a place can get. But like most spots often abhorred by self-dubbed real travelers, there is a reason why the place is so popular with the masses. And with this street, a short walk through its half-kilometer cobbled pavement and you’d easily see why. The song Wala cycling innumerous times over my iPod, I sat down at one of the many caritela benches along Crisologo and watched the heavens. That overcast sky was starting to get darker by the minute and a slight drizzle finally pattered down the sidewalk. I sat some more and listened to a few more repeats of the song. Finally, the rain died down and the moon started to break into the twilight. I screwed my camera to my tripod. Good times once again. I love the blue sky! Ano na gamit mo body ngayon Sir?